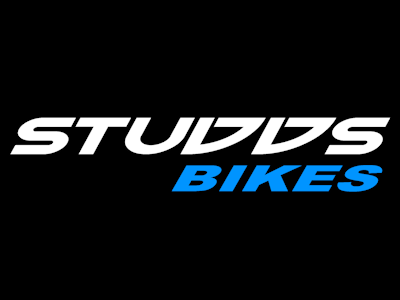 Studds is based in Richmond, Melbourne and has been offering quality bikes online since 2013. We’ve been putting our efforts into low cost, but excellent quality bicycles and so far feedback has been great. We are now into our 5th version of road bikes and 2nd version of MTB’s and have been making improvements along the way. We spent a year and half testing different parts to make sure our bikes are right. We want sleek design with a clean look and we think we’ve got it. Our road bike frames have a pleasing teardrop cross section, which makes the bike look and feel different to the commonly seen oval tubing and the rear tubes have subtle curves weaving downwards to the rear hub, which are ordinarily the reserve of $1000+ road bikes. We have a similar design process for our hydroformed MTB frames making them one of a kind. Shop Online for the best deals on Road Bikes, Mountain Bikes, Fixies and Ladies Vintage Bikes plus a range of accessories. All of our bicycles come with a 5 year frame warranty and a 1 year warranty on parts with free shipping to Melbourne, Sydney, Adelaide, Canberra & Brisbane Metros*.